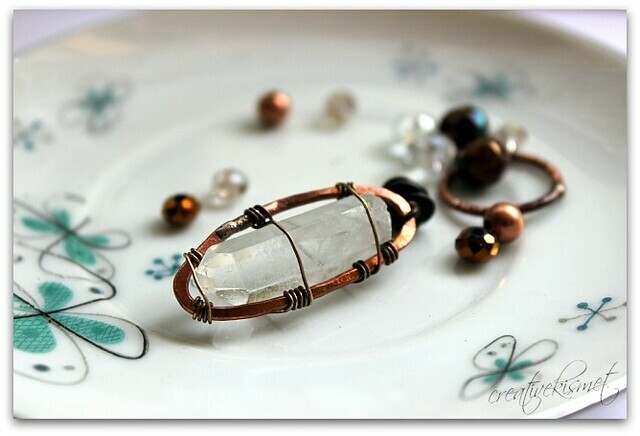 My love for making jewelry is fast and fleeting. It hits me out of nowhere and I MUST dig through my beads to make something. Twenty-four hours later, and the impulse is completely gone. So, I must work fast when it hits me. 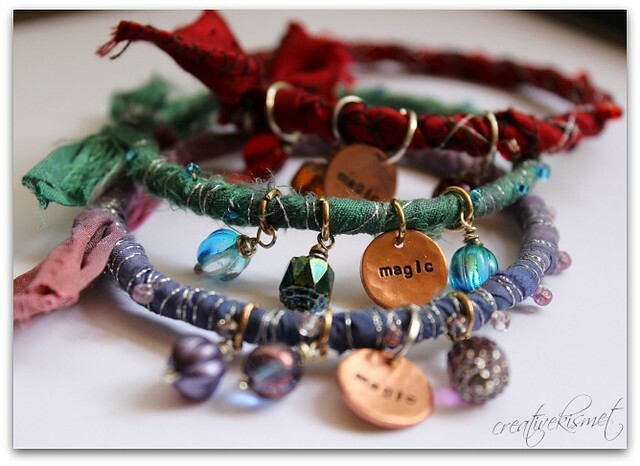 A while back I had ordered from etsy, little word charms that say “magic” with the thought of making bracelets like these for a few friends of mine. 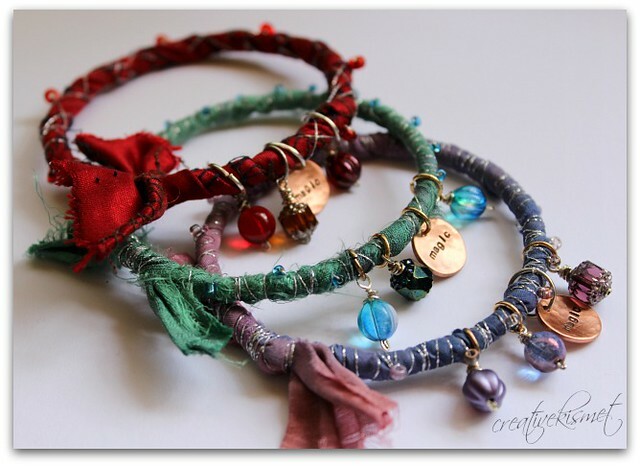 I wrapped plain bangles with sari silk ribbon, silver thread and made little beaded charms. They were really fun to make. While digging through my bead collection, I found the copper oval, another purchase from etsy. 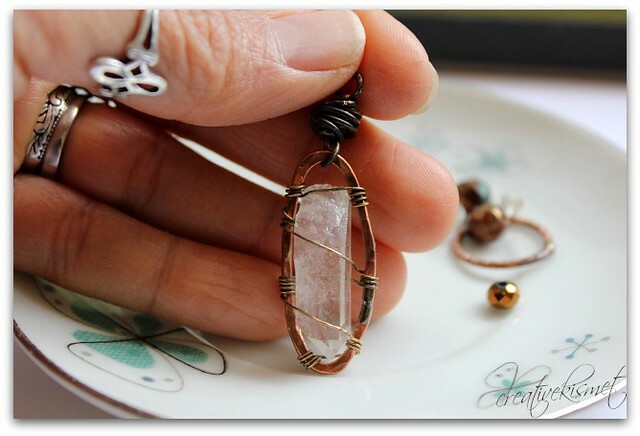 I thought it would be cool to add the crystal point inside by wrapping it with wire. A fun challenge of dexterity patience. I had wanted to do more with a beaded chain, but alas, my mind has already moved on to finishing my studio room chair. Is this what you call creative ADD? Whatever it is, they are soooo pretty. Those bracelets are gorgeous! Thank you for sharing. Your blog is very fun and you’re so creative. Happy Thanksgiving!